In 2006 Lanette was watching the Olympic Winter Games on TV and saw Canadian Mellisa Hollingsworth slide headfirst down an icy chute to a bronze medal finish in a crazy sport called skeleton. For some reason the thought that went through her head was “Hey, I could do that!” Within the year, she was signed up for the skeleton driving school at Canada Olympic Park. After a few runs of ping-ponging down the track, she was hooked. 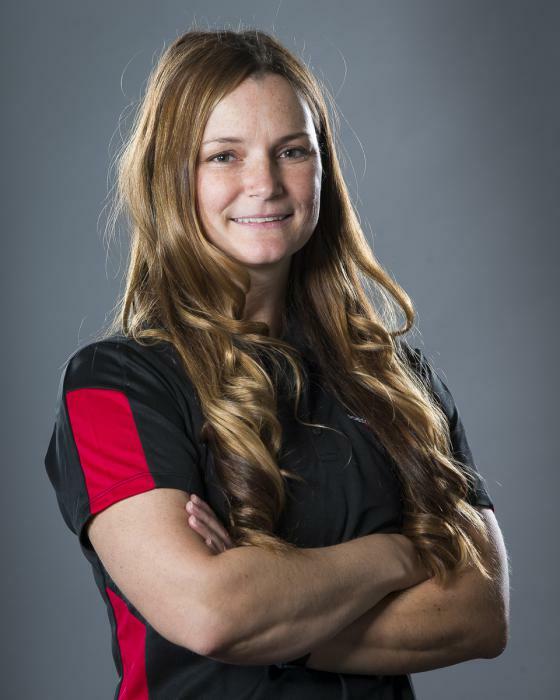 Since then, Lanette has climbed the ranks from recreational slider, through the North American and European circuits of the development level, and onto the national team in 2011. After four seasons of racing internationally on the Intercontinental Cup circuit, Lanette achieved her long-time goal of qualifying for a spot on the 2014 World Cup circuit. She has since split time on the World Cup and Intercontinental Cup circuits, and is focused on competing at the highest level in the sport where she aims to use her skills and experience to bring home some hardware. When she’s not at the gym, at the track, in the Ice House, or sitting in an ice tub for recovery, Lanette practices medicine as an urgent care physician, where she regularly advises people about the hazards of extreme sports. She graduated from the University of Calgary medical school in 2005, completed her residency in 2008, and has since worked in several emergency departments and urgent care centres around Alberta. In 2010 she acted as volunteer medical staff at the Vancouver Winter Olympics. Lanette is married to fellow slider Alexis Morris, who is a physicist and professor at Mount Royal University. Beware of dinner invites to this household - the conversations are rarely dull! Lanette also has a passion for travel and can regularly be found backpacking around the globe, with more than 50 countries checked off her list, and always one (or two … or more … ) in the works. Beyond sports, work and travelling, Lanette is an avid reader, outdoor enthusiast, foodie and can be easily bribed with Crave cupcakes. If it is fast or exciting or dangerous, or preferably fast, exciting and dangerous, that’s probably where you’ll find Lanette. Unless “The Bachelor” is on TV that night.